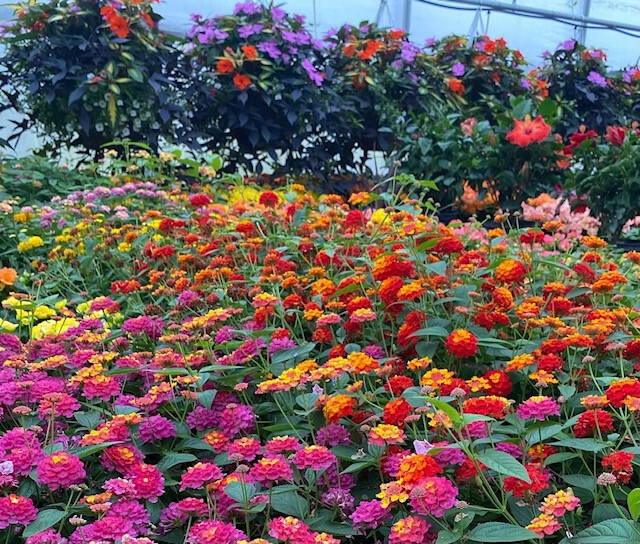 Abrahamson Nurseries is a full service landscape and design company, garden center, and a greenhouse grower. We offer a wide selection of landscape plants, hardscape materials, tools, and garden decor. Whether you are looking for trees, shrubs, perennials, or annuals; we offer many choices. Our experienced designers and knowledgeable staff can work with you to select the varieties that will work best in your yard. From renovating an entire landscape to planting a single tree - we look forward to working with you! Our Retail Stores are now Open! Upcoming Sales and Workshops: Bare Root Tree Sale at our Scandia and St. Croix Falls locations. Saturday, April 27th and Sunday, April 28th. Apples, cherries and plum trees. We are looking forward to 2019, bringing you new plants, new gifts and new ideas for your home and garden. Patrick and his greenhouse production team have been busy planting annuals. The retail greenhouses are getting very full and have spectacular color. Erick and the nursery production crew have also been very busy getting perennials planted up and the nursery uncovered from their long winter's nap. Our St. Croix Falls greenhouse remodel has been completed and we are excited to show you the changes! Designers are ready to draw up plans for your next landscape project, so if you are wanting to get a jump on your landscaping needs, give us a call today and they will set up an appointment with you. GIFT CARDS: We have gift cards available in any amount. These make great gifts for anyone! Stop into any one of our 3 locations or give us a call today and we can mail it out to you.